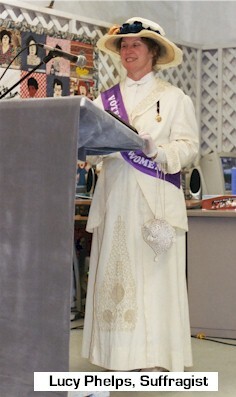 Karen Board Moran portrayal at Women at Work Museum, 2004. Lucy Waters Phelps (November 17, 1876- May 21, 1965) was brought to life to celebrate the 300th anniversary of Sutton, Massachusetts. Her story as a teacher provided a voice to teach history through a local lens. 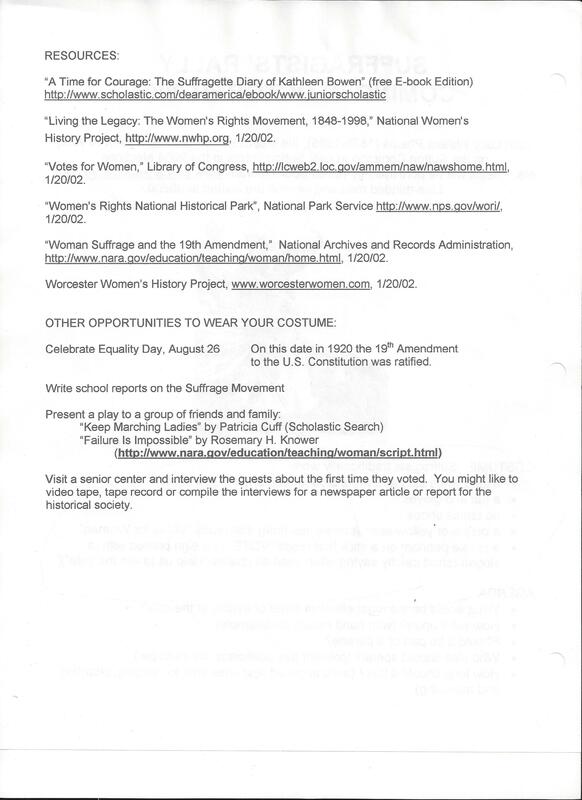 The resources added to this page not only helped Sutton teachers tell Sutton’s story, but reached a wider audience to tell the story of woman’s rights and suffrage. Suffragist Rally – Get Out the Vote! 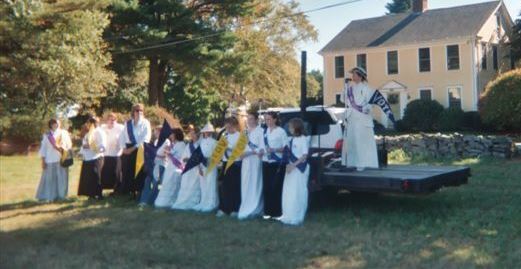 On 3 October 2004, Phelps, a member of the historic Worcester Equal Franchise Club and the first Sutton woman to register to vote held a “Get Out the Vote” Rally on the Sutton Common and at Waters’ Farm to celebrate women’s historic contributions as part of the tri-centennial celebration for Sutton, Massachusetts. Phelps was portrayed by Karen Board Moran and was joined by local Girl Scouts Troops 670, 695 and 1026 dressed as suffragists and several Sutton Women Thru the Ages marchers from Sutton Reenactors and the Worcester Women’s History Project. Representative Jennifer Callahan,M.D., the first female representative from the Blackstone Valley district. encouraged the crowd to become involved in our democracy in her speech “We Can Make It Better”. She reminded everyone that the first female Sutton Selectman was Alice Bebka (1981) and the first woman on the Board of Assessors was Patricia Nedoroscik (1985) who went on to become the first female Town Administrator (March 2002). The pre-registered scouts and mothers traveled by car caravan to Waters Farm Days to hand out flyers and help the League of Women Voters voter registration table. Suffragist resources for Girl Scouts. Girl Scout Suffragists get out the vote at Waters Farm, 3 October 2004. Lucy Waters Phelps [n.d], Phelps Family Archives. 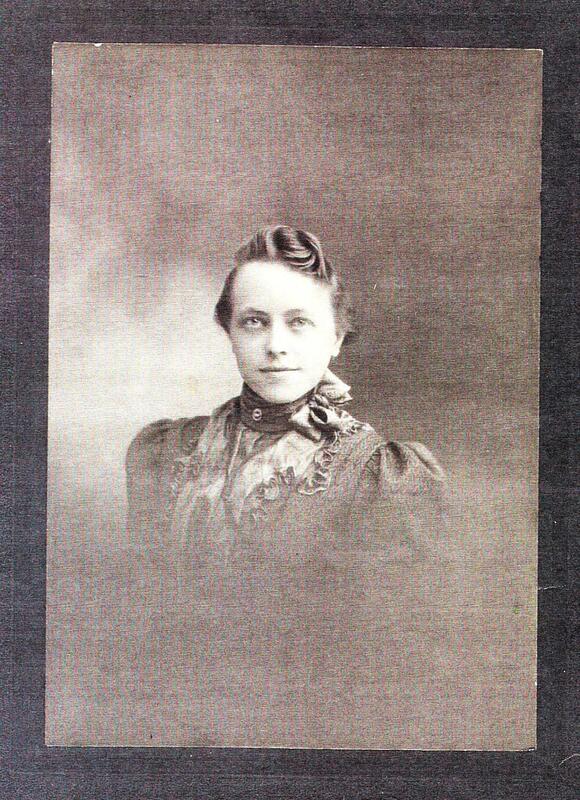 Lucy’s mother Julia Waters Phelps [n.d.]. Phelps Family Archives. Are you content…with being labeled “it” or “reigning the region of zero for the sole reason you belong to that half of humanity [?]. 1908 or 1914 Oread postcard, Courtesy of Barbara Fletcher. 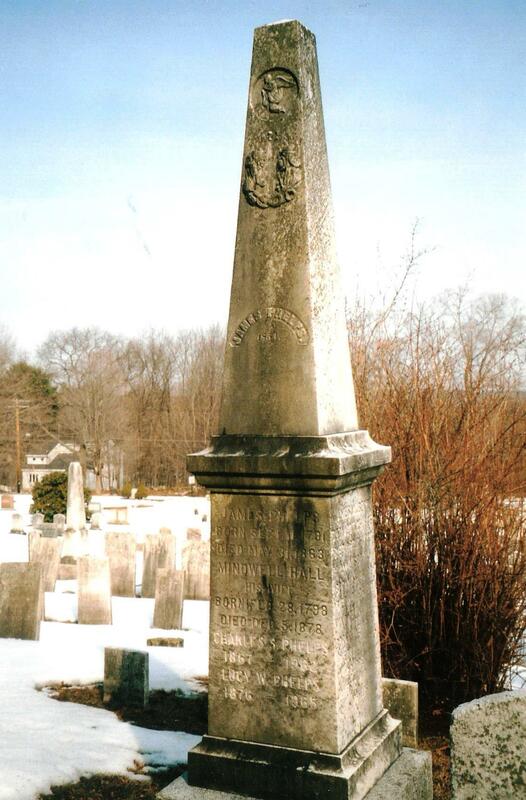 Lucy Waters Phelps was born in the centennial year of our country in Sutton, Massachusetts. 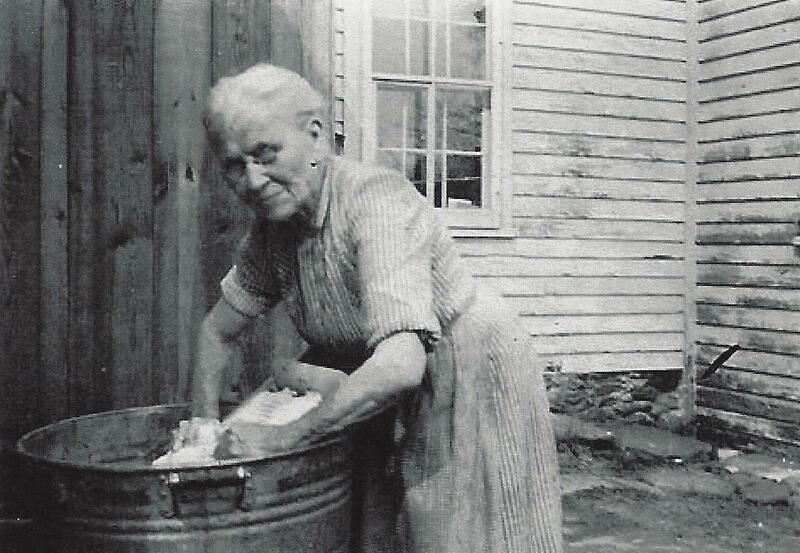 Her grandfather, James, and father, Henry, ran the saw and grist mills in the village of West Sutton. 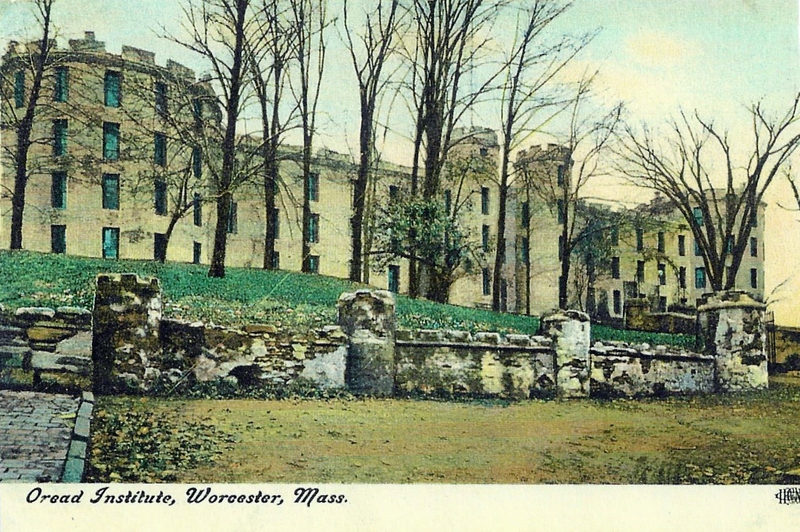 Julia Matilda Waters, her mother, had taken a course at the Oread Collegiate Institute in Worcester, a pioneer college for women modeled after Brown University that only allowed male students at the time. Her mother was a natural nurse and midwife for the West Sutton community. 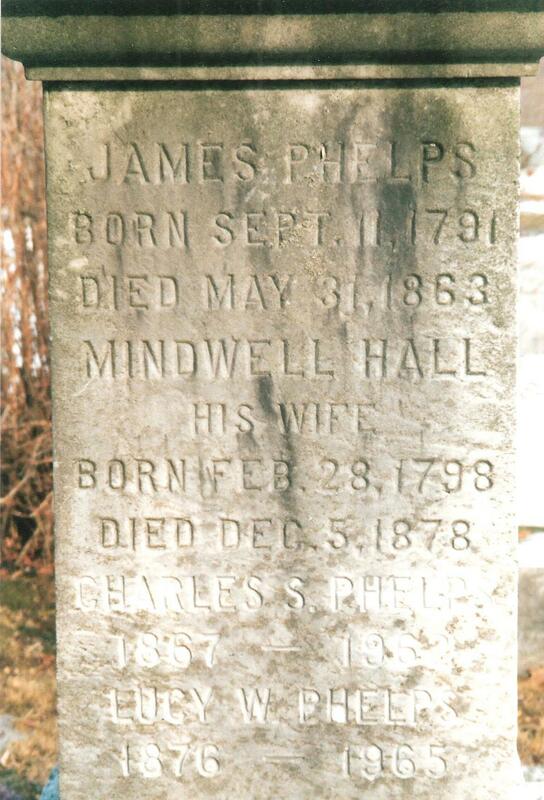 James Phelps, her grandfather, made a machine for making paper in 1826 and patented a rag washer in 1843. Lucy taught at West Sutton School for 21 years or more, but did not limit her activities to this field. She was an active member of the American Press Writer’s Association for more than 25 years. Phelps’ 1908 Blickensderfer typewriter can be seen at the Sutton Historical Society or in the virtual museum on the website. 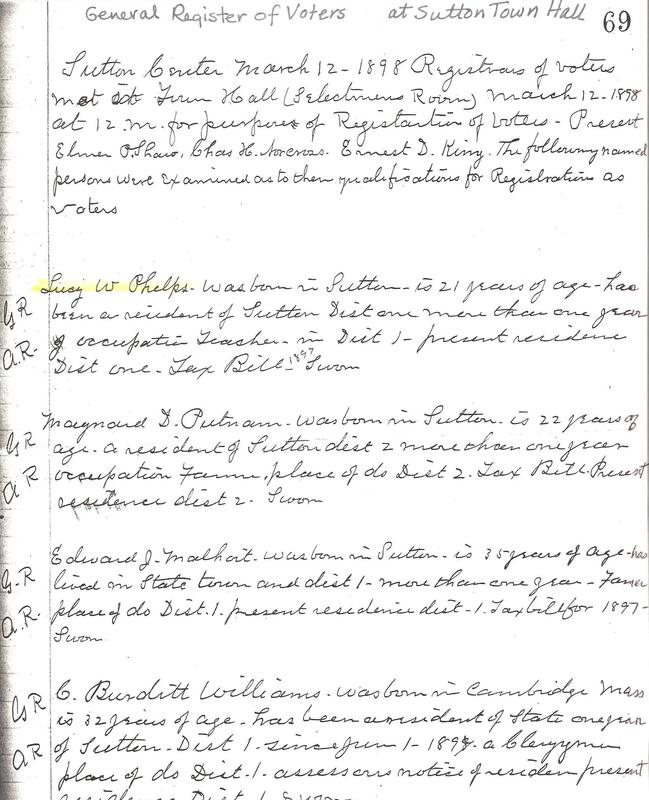 As a single woman, Lucy was aware she had been born three years after Massachusetts’ women gained the right to vote in school committee elections; and yet, no Sutton woman had registered to vote. At age 21, she led the way by becoming the first woman in town to register to vote and became an ardent suffragist. 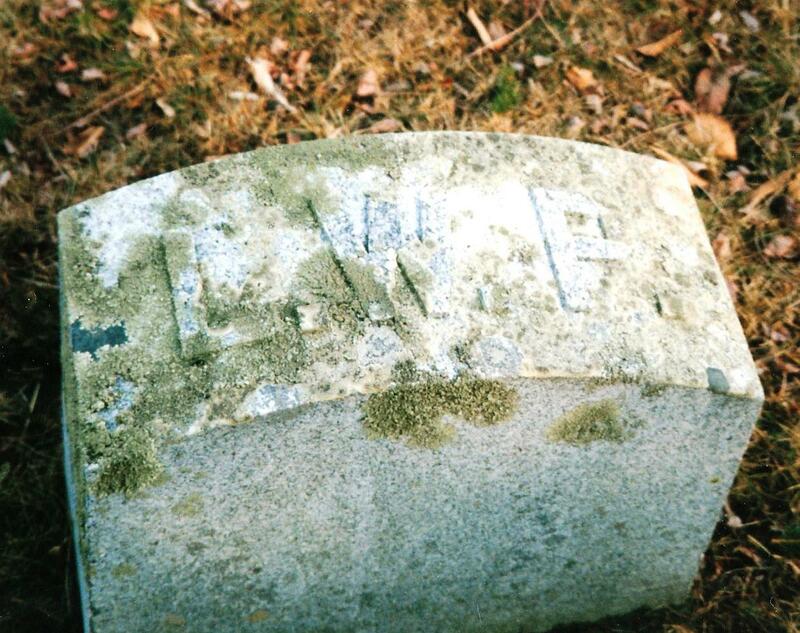 She was a member of the Worcester Equal Franchise Club, which became the League of Women Voters in 1920. By 1912 only about 1/3 of area women had registered to vote. Locals remember the suffrage bluebird symbol nailed on each pillar in front of her home reminding male citizens to cast their ballots in support of woman’s right to become voting members in the American democracy. She also wore the suffragist banner and carried the Sutton banner in the Boston Suffrage Parade in 1915. She may also have marched in the 30 October 1914 parade in Worcester. A pillar in her community, Lucy helped organize the West Sutton Community League for the betterment of West Sutton in 1928. After retiring from teaching she became an entrepreneur with her brother Charles. They ran Paine Haven on Central Turnpike, a roadside stand selling ice cream and candy—“The Pride of the Pike”. 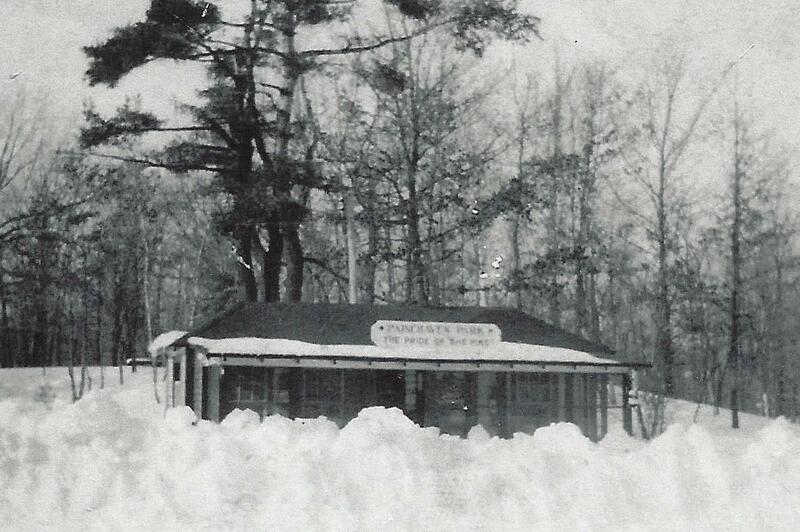 Paine Haven Park on the Pike after blizzard of 14 February 1940, Phelps Family Archives. Like teachers everywhere, Lucy influenced the future by shaping her students lives, but also fought for woman’s rights as an American citizen. One of her students, Helme Josephson Salois, remembers her as “a grand lady” and even saved her first Christmas card from her teacher in 1920. She challenged them to present poems by memory on Memorial Day. Her strong commitment to community ensured a positive present. Many members of the Phelps family are buried in the West Sutton Cemetery. Lucy is buried in the West Sutton Cemetery at the right end of the road closest to West Sutton. Some family members live in Lisbon, Iowa.